Works as Senior CBT Therapist at First Psychology Centre, Glasgow. 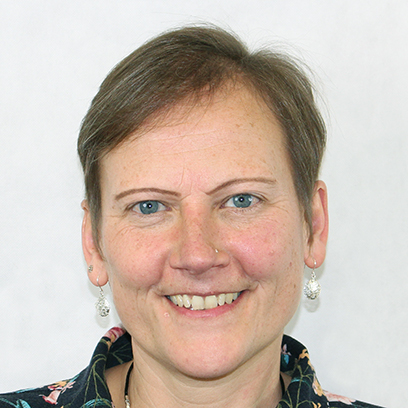 Ina Watson is senior CBT therapist who works with individual adults and couples. She works with a wide range of issues and problems including anxiety (including generalised anxiety, social anxiety, panic, health anxiety, phobias); post traumatic stress disorder (PTSD) and trauma; work-related stress; depression; obsessive compulsive disorder (OCD); relationship issues; abuse; eating disorders; assertiveness; low self-esteeem; and anger management as well as many other issues. Ina works with each individual to build a strong therapeutic relationship. She works as a CBT therapist but can also offer person-centred counselling and psychotherapy and aspects of transactional analysis, neuro-linguistic programming, inner child work, compassion focussed therapy, schema therapy, DBT-informed therapy, and coaching in her therapeutic work in accordance with the needs and preferences of each individual. Ina believes in working collaboratively with each person to agree the goals of therapy. Ina has considerable experience working as a therapist in a range of therapeutic settings including The Priory Hospital and their consulting rooms, in private practice, and within the voluntary sector. She has worked in the areas of women's mental health and also with an overseas charity in Sri Lanka with post-tsunami and wartime issues. She has also been employed as a psychotherapist working with eating disorders in an acute inpatient hospital, as well as in out-patient clinics and with occupational health companies focusing on work-related stress. In addition she has written a training manual in Basic Counselling Skills for school teachers and a Cognitive Behavioural Therapy Manual for Sri Lanka. Ina has an Advanced Diploma in Counselling and Group Work; a Certificate in Counselling Skills (COSCA), and BABCP EMDR level 1 training. In addition she has undertaken training in a number of areas including: HIV and Development; and Facilitating Positive Parenting Groups. Ina also has a Masters Degree in Theology. Ina is accredited by the British Association of Behavioural and Cognitive Psychotherapists. Ina charges £80 a session for self-funding clients (concessions available). She also works with clients referred via their employer/organisation – for further details, please visit First Psychology Assistance.